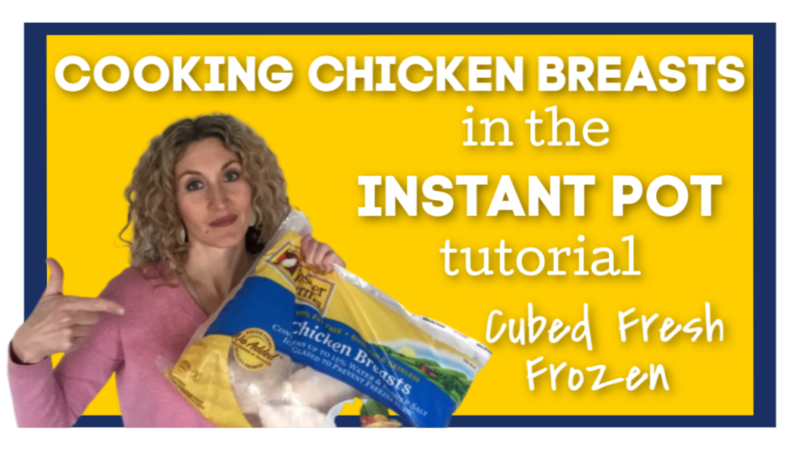 Today I’m going to teach you a formula for how to know how long to cook chicken breasts in the Instant Pot. The chicken breasts can be frozen or fresh, thick or thin, to be sliced or to be shredded. This formula will help you figure it out in just a few seconds. You’ll get perfect juicy and moist chicken breasts every time. Today for YouTube Tuesday (er Friday, I’m just a little late on this) I’m sharing with you something that you’ll be able to use over and over. 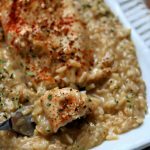 It’s a simple formula to figure out how long to cook chicken breasts in the Instant Pot. Get a digital scale. I use one similar to this*. If you are cooking more than one chicken breast choose ones that are similar size and thickness. If you cook a large chicken breast with a small chicken breast one will be overdone and one will be underdone. 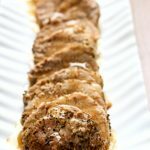 Cook chicken breasts of similar size to get consistent results every time. For FROZEN chicken: Weigh your chicken breasts. Let’s say your chicken breast weighs 12 ounces. You’ll use a pressure cooking time of 12 minutes. If you’re cooking more than one chicken breast and the average weight of the breasts is 12 ounces you’ll still only cook it for 12 minutes. The one minute per ounce rule is for sliceable chicken. If you want shreddable chicken then add 3 minutes to the total cooking time. So in the example I just used you would cook the chicken for 15 minutes for shreddable chicken. For FRESH chicken: use the formula in step 3 but subtract 2-3 minutes of cooking time (so it would be 10 minutes for sliceable chicken and 13 minutes for shreddable chicken). Use a 5 minute natural pressure release for frozen or fresh chicken. This means when the time is up you let the pot sit there for 5 minutes (display will say L0:05) and then move the valve to venting. Use 1 cup of broth or water in the bottom of your Instant Pot. Use a trivet, if possible. Lay the chicken on top of the trivet. For even cooking stack your chicken breasts on top of each other cross ways. Or if possible lay the chicken in one even layer on the trivet. If you don’t have a trivet you can lay your chicken directly in the bottom of the pot with the liquid. Lots of liquid releases from chicken. For frozen chicken you’ll get about 1 cup of liquid per pound of chicken. To quickly defrost a chicken breast pour 1 cup of water in the bottom of the pot. Lay the trivet in the pot and place the chicken breast(s) on top of the trivet. Set the pressure cooking time for 1 minute. Use a quick release once the time is up. The chicken will be a little cooked on the outside but uncooked on the inside. You’ll be able to slice up the chicken into cubes and use in recipes such as Tuscan Chicken Pasta or Chicken Parm Soup. 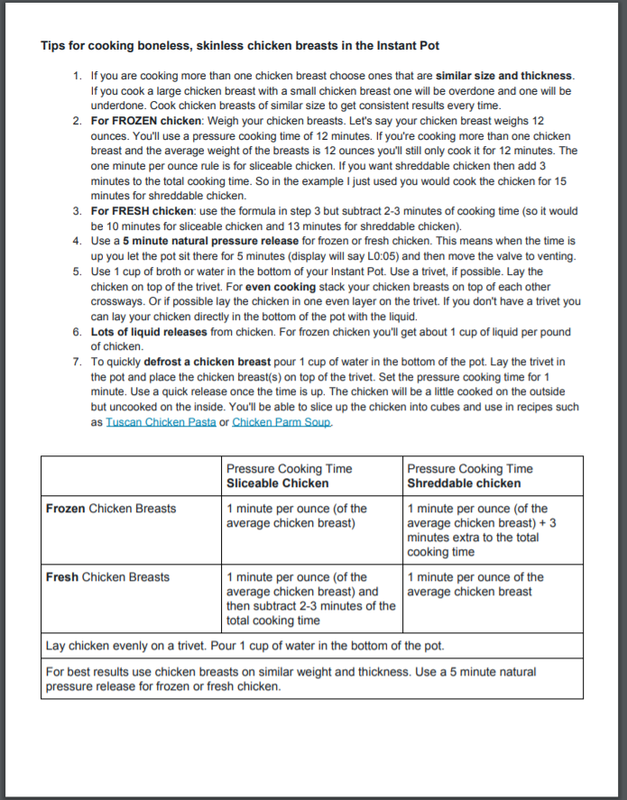 Download a PDF of my tips and a cooking times chart for chicken breasts in the Instant Pot! Karen, you’re the best. I tell my wife that we are “friends” on gmail and you send me all my best instant pot recipes. 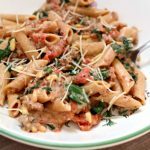 I’m from Maui and have adopted alot of recipes and made them “local” style. 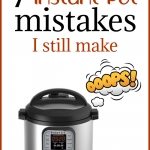 Really I think you’re the best with the instant pot. 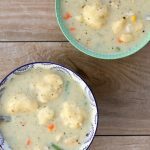 I would love to see how you’ve adapted these recipes! Mahalo! Thank you for this! I watched the video and downloaded the sheet, so helpful! I do have a question though. I had purchased the grey silicon trivet you recomended and while I do like it, I have had problems with the handles interferring with the gasket so steam comes out from under the lid. It sometimes takes me 2 or 3 tries to get the lid on correctly. Do you have a tip to get those handles to the center before placing the lid on? Thanks again! Oh no! That is a bummer. I don’t have a tip for that. Is there a significant flavor difference in frozen vs. fresh chicken breasts? I always wonder about that since the seasonings may not “stick” as well on the frozen ones. I love your recipes! When I’m just making it for shredding no but yes you’re right the seasonings don’t stick on the frozen chicken as well as thawed chicken. Is the information/time table the same if using skinless boneless thighs? My family prefers thighs over breasts. Hi Linda, no it’s not the same for chicken thighs (boneless) or bone in chicken! Thighs have much more fat and collagen and require more time to cook properly. I would add 3 minutes to the cooking times that I mentioned for boneless thighs. Thighs are actually hard to get wrong. 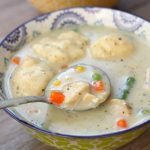 They turn out so well in the Instant Pot! Hello, Thank you for your review and continued instructions on IP chicken. I have often thought about just doing bone in chicken breasts etc. (like when a whole chicken is done in IP) but I don’t see any suggestions to do that. Maybe I have over looked it somewhere.? Like I have 2 split chicken breast and skin, simmering on top of range right now. Thanks again! Hi Elizabeth, bone-in chicken breasts will work nicely in the Instant Pot. I would use more time than I mentioned in the video for bone-in chicken breasts. I would add 3 minutes to the cooking time. Remember you can always add more time to pressure cook if it’s underdone but you can’t go back once it’s overcooked. Thanks I’m glad it’s helpful! Oh thank you so much!!! Okay I really need to be more tech-y with my videos. As you can probably tell I just use my iphone and I am my own videographer lol! I do have a microphone but always forget to use it. This comment gave me the push to use it every time.